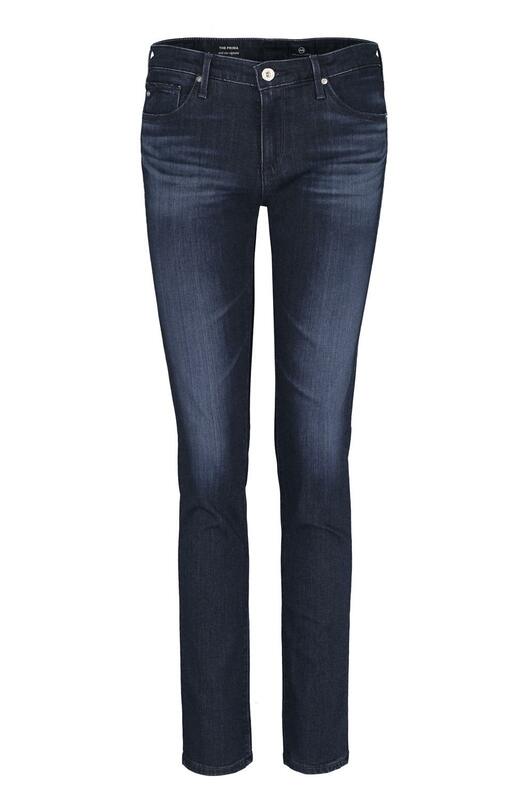 Made from comfortable stretch denim, mid-rise cigarette jean is an everyday classic in a dark blue wash with faded details. Finished with tonal stitching and polished hardware. Fits true to size. Mid-rise cigarette. Made in USA.